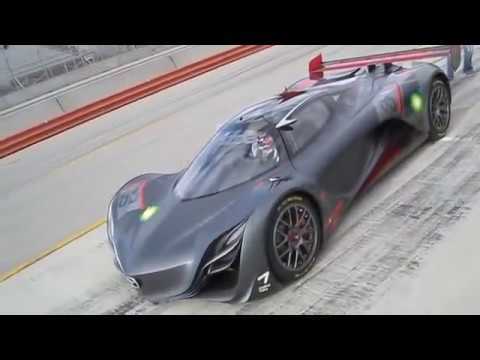 ​Mazda's Furai concept car was revealed in 2007 which marked a possible return to rotary racing. However, this didn't happen in the end but we still got the pleasure of seeing it and hearing it round the track. The car is one of the most stunning looking concept cars ever made as it was inspired by Courage LMP2 car, making it one of the best sounding too. Listen to the rotary scream of the RX7 Super GT race car. Although this was not a prototype or concept car, it still has wheel arches wide enough to put a show car to shame.